Concealed fixings. Projection from wall 125mm. Bars 200mm from centre of fixing to bend. Centre to centre of fixings 380mm. 25mm dia. 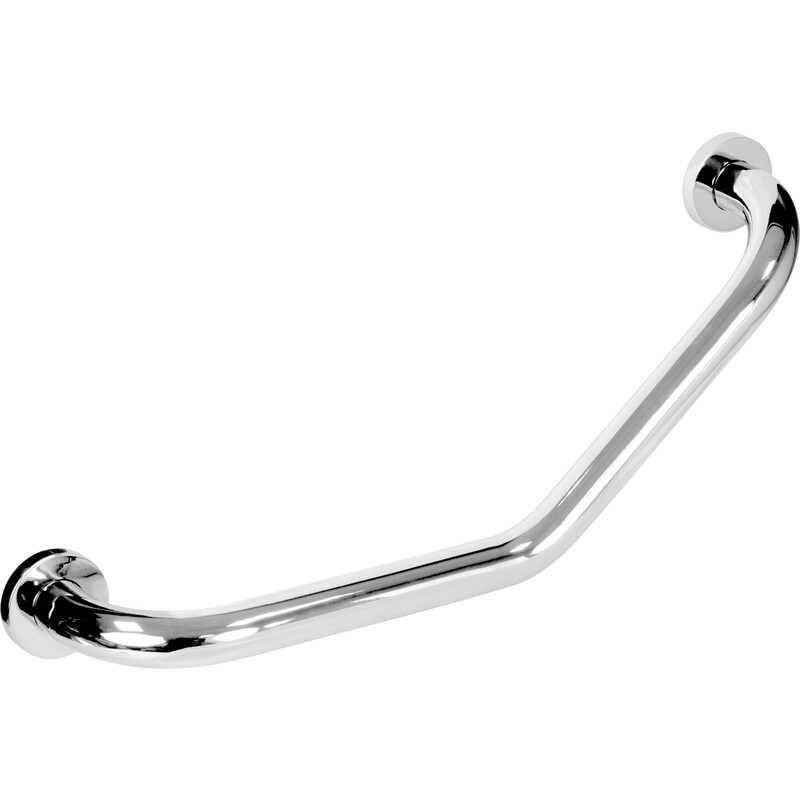 Polished Angled Grab Rail Chrome is rated 4.7 out of 5 by 6. Rated 5 out of 5 by Plumber33 from Excellent Quality The 2 Grab rails I purchased are of excellent quality and superbly finished. Rated 4 out of 5 by Badger2017 from Bath handle. Fitted in our holiday let property after a few requests. Looks nice doesn’t make it look like a hospital bath. Rated 4 out of 5 by Papakatim from Installation Fitting this will be my latest challenge. Rated 5 out of 5 by Bigray from Upgrade of Bathroom fittings Along with this grab rail I purchased the complete chrome Bathroom Set, Soap Dish, Towel Ring,Glass Tumbler Ring, Toilet Brush top quality looks brilliant. Rated 5 out of 5 by dgwmaintenance from Nice chrome finish Bought this to go in my parents shower, looks much nicer than a white one. Quality seems good and easy to fit.